7 February 2019 – Today, the United Nations (UN) Committee on the Rights of the Child (CRC) published its concluding observations on Bahrain’s recent review before the Committee. This was Bahrain’s first review before the CRC since 2011. 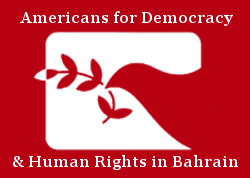 Americans for Democracy & Human Rights in Bahrain (ADHRB) submitted a shadow report to the Committee with the Institute on Statelessness and Inclusion, sent in March 2018. ADHRB welcomes the Committee’s comments and thoughtful scrutiny of the current status of child rights in Bahrain, and calls upon the Government of Bahrain to accept and implement the recommendations of the Committee and to uphold its obligations under the Convention. The Committee made a number of recommendations concerning child rights in Bahrain, including the difference in the legal minimum age for marriage in boys and girls; discrimination against children with disabilities; arrests of children for engaging in demonstrations and marches; censorship of the press and Internet; sexual exploitation and abuse of children; and the age of criminal responsibility set at seven years of age, with children as young as 15 years old being tried as adults, among many others. The Committee highlighted some pressing issues raised in ADHRB’s shadow report, specifically the persistent discrimination against Baharna and Ajam children and those born to foreign or stateless fathers. The Committee noted its concern for the large number of children at risk of being stateless, including Baharna, Ajam, and Bidoon children and those born to parents whose citizenship has been revoked. The CRC recommended that Bahrain amend its Citizenship Act to ensure the right to nationality for children born to Bahraini women with non-Bahraini fathers, and to guarantee that the right to acquire Bahraini citizenship is provided for all children without discrimination. This is particularly important, as the Bahraini judicial system is currently denaturalizing Bahrainis at an unprecedented rate – since 2012, at least 824 Bahrainis have been deprived of their nationality through the criminal courts, with 304 individuals denaturalized in 2018 alone. The Committee voiced concerns over the ill treatment and torture of children, stating that it “remains deeply concerned at the arbitrary detention of children, reports of the ill-treatment of children by police and in detention centres, including through the use of tear gas during the riot in Jau Prison in 2015, and the alleged use of torture by law enforcement officials to elicit confessions from children in detention.” The Committee reiterated this when discussing the juvenile justice system, noting that it “remains deeply concerned about . . . [r]eports of extrajudicial arrests and incommunicado detention of children, torture and ill-treatment of children in detention, and children being held in detention facilities with adults . . . ” The Committee also expressly noted the January 2017 execution of Ali Al-Singace, who was a minor at the time of the alleged crime, and who alleged that his conviction was the result of confessions coerced through torture and an unfair trial. ADHRB welcomes the Committee’s concluding observations, calls upon Bahrain to accept their recommendations, and urges States and the international community to hold the Government of Bahrain to their treaty and human rights obligations.